Step into the ring if you’re brave enough to take on the legends of Mexican wrestling in this adrenaline pumping online slots casino game. Since the early 20th-century Lucha libre has been an exciting, freestyle type of wrestling in Mexico and its infectious buzz has spread worldwide, thanks to its high flying style wrestling manoeuvres. Join the loco Lucha Legends in the wrestling ring and if you’re lucky you might just come out on top and become a world-class wrestling legend. You’ll encounter some colourful and charismatic characters in this energy-filled wrestling ring including the competitive Pepe, El Diablo, Martio, Burro and duo Sal as well as the referee and the glamorous ring girl who will cheer you on. All of these casino games are free spins slots! 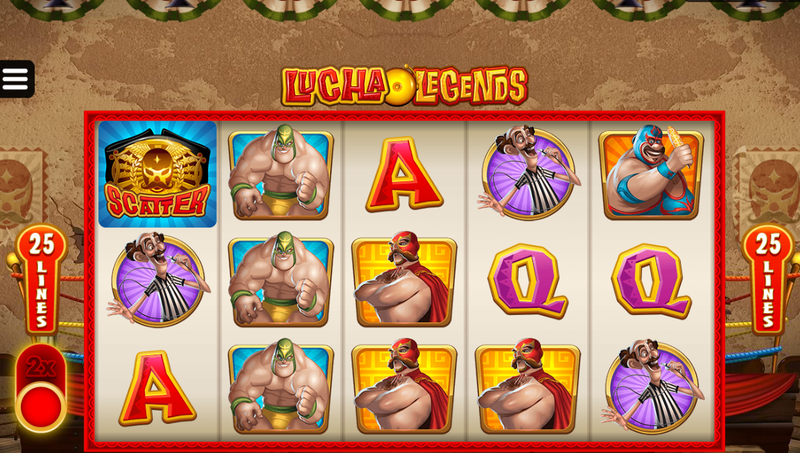 Lucha Legends is a video slot game with 5 reels and is played across 25 paylines which has two exciting bonus rounds. 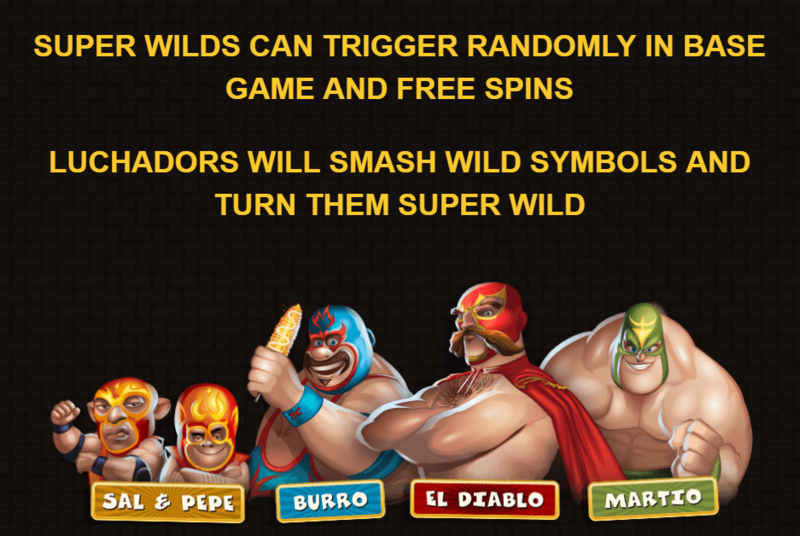 Keep your eyes peeled from the hood of your wrestling mask for the Super Wild feature, which gives you the opportunity to gain wild multipliers of up to 5 x as well as extra wilds up for 4 x. Everyone loves a freebie, and this game gives you plenty of opportunities to fill your boots with free spins in the Free Spins feature, in which the Super Wild feature comes into the mix when a Wild hits the reels. The Free Spins feature will come into play when you land 3 or more wrestling belt scatter symbols on reels 1, 3 and 5 at the same time. If you’re lucky enough to trigger this you will be granted 10 free spins! If you’re ready for the big time you can crank the heat up a notch with the Power Up Mode, which will double your stake which could be well worth the gamble if you keep in mind the Super Wild feature.